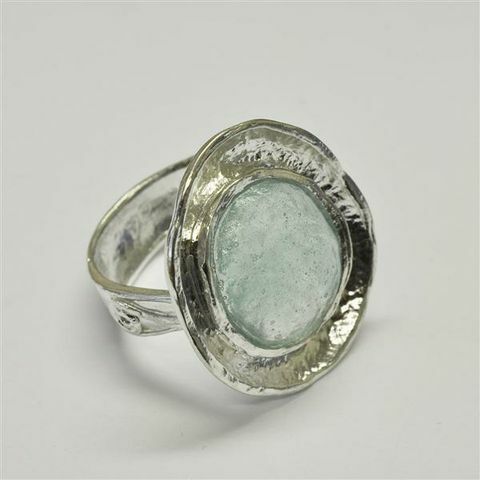 Sterling silver rings with Roman Glass. Handmade & decorated with traditional Yemenite and Israeli motifs and a piece of original ancient Roman glass, set in silver frame. Each fragment of Roman glass has its own color and is unique. Made in Israel Jewelry.